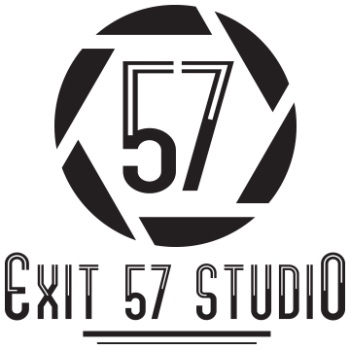 At Exit 57 Studio we strive to build self esteem with every portrait we take. We are a small boutique studio, are strong believers in not only creating a legacy for future generations to enjoy, but by encouraging you to print and hang your portraits, All of our portraits are classic with a modern twist. Each session is designed to make you feel like part of the family. We never rush, but we are prepared to move you through your session quickly and easily. Even if you hate being photographed, we promise you will have fun. Children's portraits are memories in print. When you hang a photo of your child in your home, or place it on your desk at work, you show them your pride in them, give them a sense of family and preserve moments in time for future generations. A beautiful way to build self esteem. Professional headshots not only give you a boost of confidence, but increase your digital presence. You only get one chance to make a great first impression, make it a great one. It's our job to make you look good, and we will! The Shadow Portrait Series are our unique approach to portraits. We capture BIG personalities in the simplicity of a silhouette. These sessions are quick, fun and produce not just a photo, but art. Senior Portraits are a rite of passage. We can help you look and feel your best while capturing this important moment in your life. Is your pet part of the family? Then our pet portrait package is perfect for you. We are pet portrait specialists and would be thrilled to photograph your 4 legged baby.